Podcasts are a great resource for small business owners looking for tips and strategies they can use to grow their business. They can also help people who want to learn how to start a business before taking the leap. Currently, we appear to be in a golden age for podcasts. In the UK, nearly 6 million adults listen to a podcast at least once a week. This means there are a ton of podcasts out there, including plenty that are useful for small business. 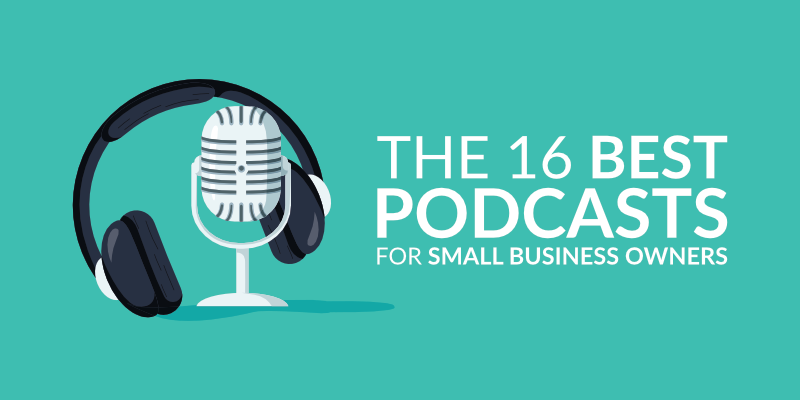 In this article, we have chosen 16 of the best podcasts for small businesses available in 2019. They cover everything from marketing to growth, website flipping, SEO, management, content creation, and more. Basically, whatever it is you are struggling with, you are sure to find a podcast series or a specific episode that will help. 1 How can podcasts help you grow your small business? The podcasts featured on the list provide access to an incredible range of business topics. If you want to know about SEO, for example, you can listen to Tropical MBA’s interview with Tim Soulo, the head of Ahrefs – one of the most popular and well-respected SEO tools out there. Alternatively, you may want to get insight from leading professors teaching at some of the world’s top business schools. If this is the case, the Harvard Business Review’s IdeaCast would be a great place to start. Other podcasts on the list feature interviews with founders of successful businesses, including some of the most famous brands in the world. If that’s what you are after, how about giving Foundr’s interview with Reddit co-creator Steve Huffman a listen? Or Mixergy’s interview with Jimmy Wales, the founder of Wikipedia? Of course, there are plenty of other great podcasts on the list. Get stuck in to find out more! 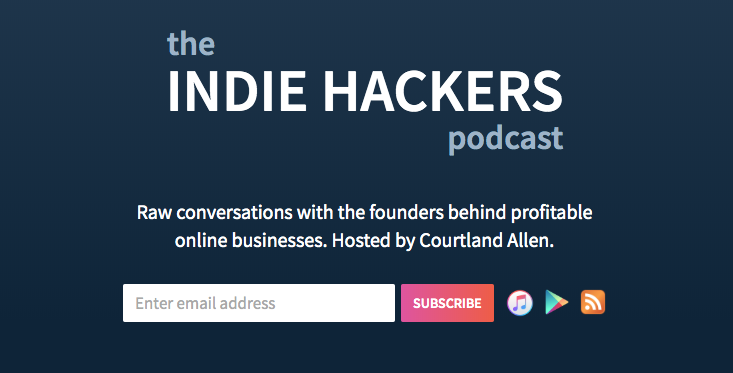 Intro: Indie Hackers is a website that aims to provide a community for startup founders and those interested in starting a business.On the Indie Hackers podcast, host Courtland Allen interviews entrepreneurs at the head of profitable online companies. Allen is well placed to be a host as he is a serial entrepreneur — in fact, Indie Hackers was purchased by Stripe in 2017. As well as the podcast, those interested can sign up to a newsletter or join the community. Why should you listen? The podcast gives listeners insight directly from those running profitable online businesses. This provides both inspiration and practical advice for those on the same journey. Who it’s for: The site defines “Indie Hackers” as people who are trying to make money independently, often solo founders or software engineers. It is especially useful for those running SAAS businesses. Best episodes: Episode 6 “Launching Your Product and Finding Customers Immediately with Josh Pigford of Baremetrics” and episode 62 “Getting a Brand New SaaS Business Off the Ground with Mike Taber of Bluetick”. Each tackle issues those starting out on their business journey commonly struggle with. Intro: Andrew Warner’s podcastMixergy offers tips and advice to those running businesses by interviewing people who are already successful. As a host, Warner has credibility as he is the co-founder of Bradford and Reed – an early noughties internet company that took in over $30 million a year in sales. If you like the podcast, you can further your learning by signing up to one of the courses on specific parts of business management. Why should you listen? Warner interviews a wide range of people including founders, marketers, and consultants to provide tips that listeners can use in their small businesses. Who it’s for: Mixergy says its podcast is great for those who are working on businesses that are their calling, not just something they want to build up and sell. Best episodes: Warner has interviewed some pretty big names including the founder of Wikipedia Jimmy Wales and marketing guru Neil Patel. Intro: The Pitch is a Dragons’ Den style podcast which follows entrepreneurs at the point they sell their ideas to potential investors. The podcast is part of Gimlet media, a Brooklyn-based podcast company, and presented by Josh Muccio, an entrepreneur who started his first business — an online iPhone and iPad repair company — while still in college. Why should you listen? The podcast gives listeners insight into what goes on during high-pressure pitching situations. As well as being engaging listening, it provides insight into the techniques that can be effective at selling ideas to investors. Who it’s for: The Pitch is especially useful for those who want to prepare for the time when they will have to pitch their own business ideas. However, anyone with an interest in selling or start-ups will likely find it interesting. Best episodes: In episode 48, the founders of Atomos attempt to convince investors to put capital into a project to build a nuclear-powered spacecraft. In episode 39, businesswear company Bluffworks’ founder Stefan Loble provides a near-perfect pitch with a compelling story. Intro: Side Hustle School is a daily podcast presented by Chris Guillebeau, a writer who published “The $100 Startup: Reinvent the Way You Make a Living, Do What You Love, and Create a New Future,” a book all about how to set up a business for less than $100. In Side Hustle School, Chris presents the story of a different side hustle every day. These range from those that grow into businesses bringing in millions of dollars a year, to those that provide extra spending money to supplement the owner’s main income. Why should you listen? The best thing about Side Hustle School is that Guillebeau shows the exact strategies and tactics those running side hustles have used to build their businesses. This gives listeners actionable tips to use in their own small businesses. Who it’s for: The podcast is great for people running a side hustle already or people looking for side hustle inspiration. The tips will also generally work for those looking to grow their small business. Best episodes: As a daily podcast that has been running for over two years, there are a lot of episodes to get through. However, the following two show the range of what is available quite well. Episode 821 features a college grad who started a company that grew into a $6 million social media agency, while episode 800 tells the story of a digital nomad who built a community for women who work remotely. Intro: The Foundr podcast is hosted by Nathan Chan, the entrepreneur behind Foundr – a self-proclaimed digital resource for entrepreneurs that includes a magazine, podcasts, and online courses. In the podcast, Nathan interviews various people involved in start-ups and business to provide helpful tips and stories to inspire and teach business owners. Why should you listen? As well as your typical internet startups, Foundr stands out due to its interviews with the people behind some of the world’s most famous brands. These include Kevin Kelly the founding editor of Wired, Steve Huffman the co-founder of Reddit, and Bobbi Brown the former CCO of Bobbi Brown Cosmetics. Who it’s for: Foundr is useful for self-made entrepreneurs at all levels of experience. Best episodes: Episode 15 with Mari Smith is a useful introduction to social media marketing. Episode 139 with Jordan Harbinger provides tips on how to become a master networker. These are both skills that it is crucial small business owners master. Intro: In the Empire Flippers podcast, hosts Jake Davis and Justin Cooke speak to various experts about all things related to website flipping. The episodes cover topics as varied as the different markets, how to monetise websites, and how to drive traffic to increase website value. Empire Flippers itself is a marketplace for buying and selling websites and online businesses, meaning it is well placed to provide expertise. Why should you listen? 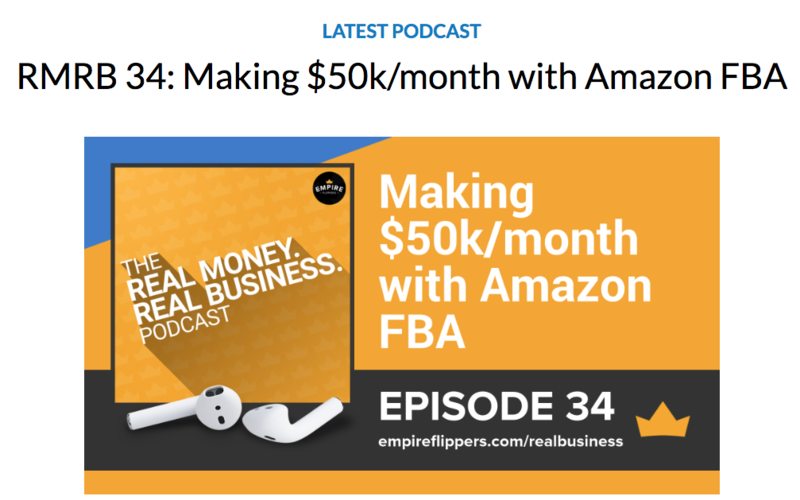 Empire Flippers is one of only a few podcasts dedicated to buying and selling websites. If this is something you are interested in, it’s a great place to start. Who it’s for: Empire Flippers is best for those looking for strategies related to buying and selling websites. However, much of the advice such as that about driving traffic and monetising websites, could be useful to many small business owners. Best episodes: The best episodes are those that relate most directly to buying and selling websites. Here are Empire Flippers’ own recommendations for new website buyers and new website sellers. Intro: Many of us dream of living and working in a tropical location, away from the stresses of the city and the office. 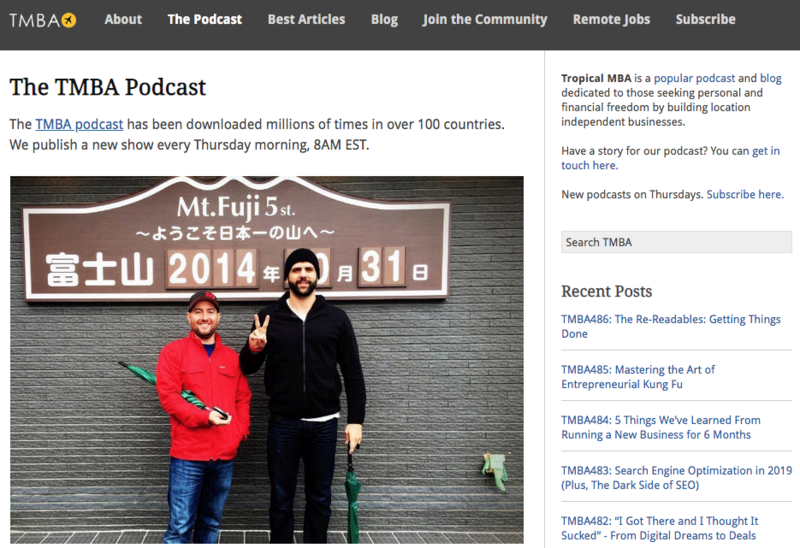 The Tropical MBA is a podcast that discusses techniques for how listeners can create remote businesses that let you do just that. The podcasts contain a mixture of the hosts Ian Schoen and Dan Andrews talking about their own experiences, as well as interviews with other entrepreneurs. Why should you listen? The podcast provides a lot of useful information about how to build a business you can run anywhere. The main selling point, however, is the knowledge and personality brought by Dan and Ian. Who it’s for: The podcast is most useful for those wanting location independence. Although, anyone looking for advice on starting an online business will likely find some of the tips useful. Best episodes: In episode 303, Dan and Ian give their unique, first-hand perspective on why and how they sold their first business. More recently, episode 483 is a useful interview with Tim Soulo from Ahrefs about the most up-to-date SEO trends. 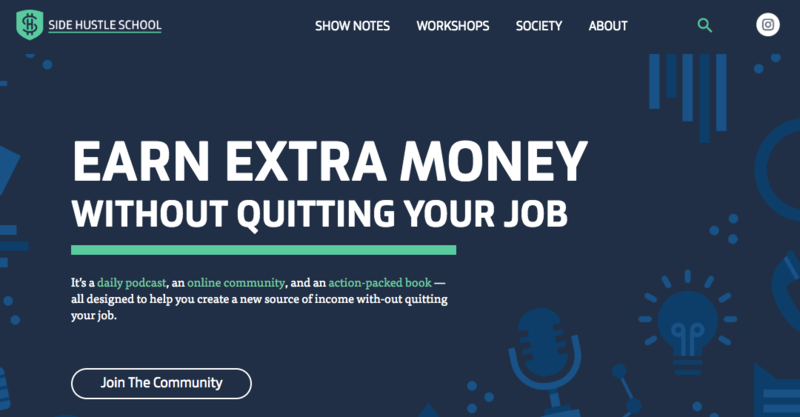 Intro: The High-Income Business Writing podcast aims to discuss the tips and strategies small businesses and freelancers can use to grow their companies; specifically, how people can earn more money in less time. This is something I’m sure most of us would like to achieve. The host Ed Gandia is keen to emphasise that the strategies he suggests will only work when backed up with hard work. Why should you listen? Ed’s podcasts are full of tips about not just writing, but all parts of running a small/freelance business. This includes sales, client relationships, productivity, and growing your business. Who it’s for: Those wanting to start a copywriting business will likely get the most from the podcast. However, other freelancers or small business owners — especially those who write their own copy — will also learn from the material Ed puts out. Best episodes: In episode 157, Ed speaks to Chrissie Wywrot about how a small business can use LinkedIn for marketing. In episode 155, he speaks about the importance of setting (and keeping) standards in a small or freelance business. Intro: Authority Hacker is hosted by Mark Webster and Gael Breton, the two minds behind niche site building information treasure trove Authority Hacker. Both the hosts have experience building and helping others create high-earning authority sites. In the podcast, the two share their own tips, as well as interviewing others who have built high-performing sites. Why should you listen? For one, the podcast is a great resource for building authority sites. There is a lot of great content on current SEO strategies and monetising sites. Perhaps most useful are the case studies that show existing examples of successful niche websites. Who it’s for: The main target audience is obviously those who want to build authority sites that earn money. However, many of the tips, such as those discussing SEO or content creation, can be used by any small business owner wanting to improve the reach of their site. Best episodes: The strategies for building sites that earn money and rank on Google are always changing. Because of this, episode 142, which looks at the strategies the team are using in 2019, could be a great place for new listeners to start. Additionally, episode 120 is an interesting look at how the agency model can work for small businesses. Intro: Niche Pursuits is run by Spencer Haws, a self-proclaimed entrepreneur with a love of niche business ideas. In his podcast, he mainly discusses strategies for building niche websites. The case studies and interviews with other site owners are particularly interesting. As well as the podcast, Niche Pursuits offers several courses and tools that are useful for building sites. Why should you listen? The podcast is dedicated to revealing the strategies used by niche site makers to build successful sites. It covers everything from identifying a potentially profitable niche to strategies that can be used to monetise the site. Who it’s for: Niche Pursuits is a useful resource for anyone who wants to build and monetise a niche site. Specifically, those who use affiliate marketing and ad programs to generate their income. Best episodes: There’s a ton of stuff to get through. Spencer is currently mid-way through a project in which he is building and reporting on a new niche site. In episode 131, he discusses the strategies he is using to get it started. Intro: The Harvard Business Review produces several business-related podcasts. 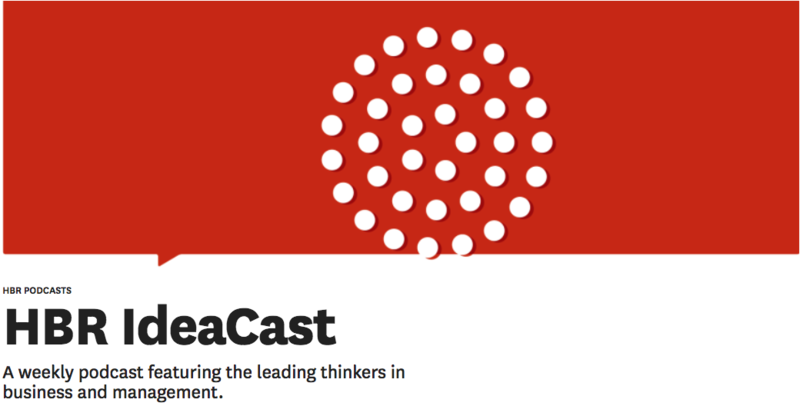 In IdeaCast, the publication features interviews with established leaders in business and management. While it focuses less on practical business building tips than some of the other podcasts on this list, IdeaCast nonetheless introduces useful themes and ideas. Why should you listen? The podcast is a great opportunity to hear from interviews with professors from Harvard or other top universities in the US. This academic background also means it has a very different feel to some of the other podcasts on this list. Who it’s for: The podcast is for anyone who wants to hear about the latest theories in business and management from the absolute top authorities in the field. While it’s not aimed at small business owners specifically, many of the episodes and the wider themes contain information that can be used by businesses of any size. Best episodes: Episode 676is especially relevant for small businesses just starting out. In it, Harvard Business School professor Thales Teixeira talks about the best way for businesses to get their first 1,000 customers. 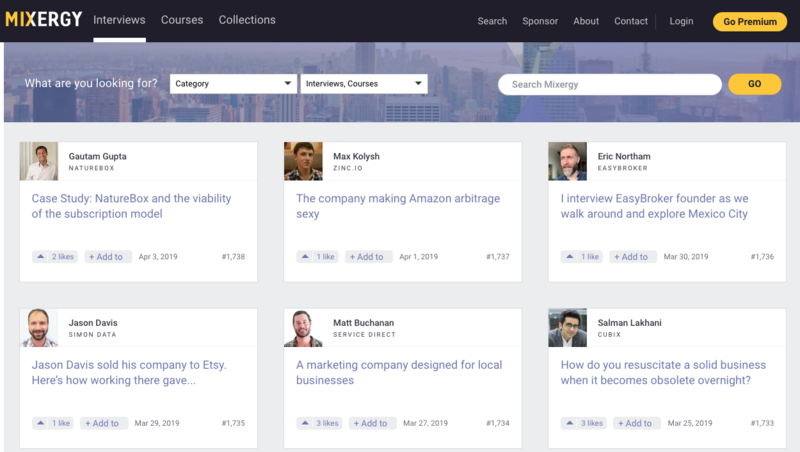 Intro: The $100 MBA is a website that offers actionable tips for small business owners. The podcast follows this theme by providing advice to those running companies. 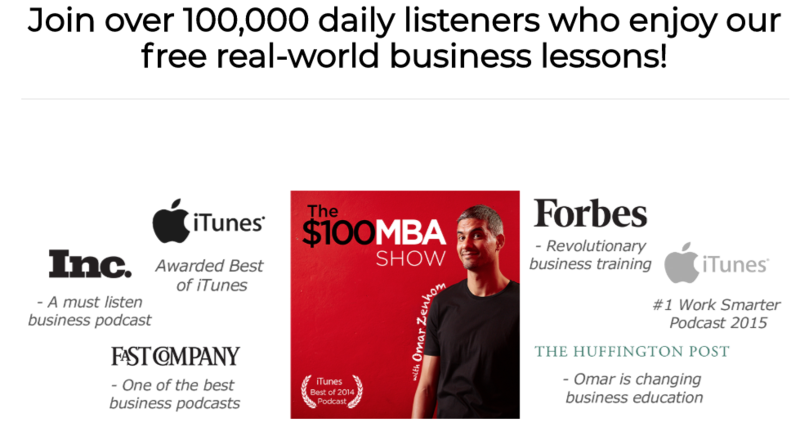 The $100 MBA mostly eschews the interview with business leader format used by many of the other podcasts on this list. Instead, it focuses on the thoughts of the host and co-founder, Omar Zenhom. As well as business advice, episodes include audience Q and As and book reviews. Who’s it for: The podcast is great for small business owners who want practical advice on running a business. It’s short and released daily, meaning it is a good choice for those who don’t have a lot of time to spend listening to podcasts. Best episodes: Episode 1149 “Lessons learned when launching a new product” and episode 1121 “Is your business growing too slow” both look at issues that are especially relevant to new business owners. Intro: Most of the podcasts on our list focus on building a small business. 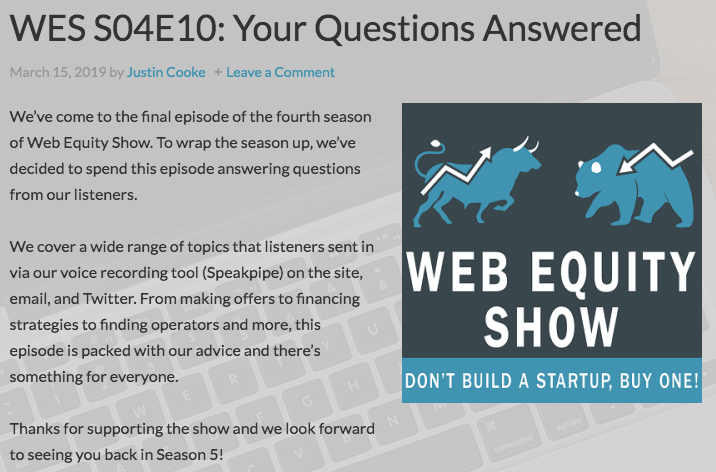 However, the Web Equity Show takes a slightly different angle by explaining how you can buy a startup. Hosts Justin Cooke (also involved in Empire Flippers) and Ace Chapman argue for buying an existing web-based business that is already profitable instead of putting in the work to build one yourself. Why should you listen? Justin and Ace offer listeners a ton of advice about how to spot good businesses to buy, as well as strategies you can use once you have made the purchase. They also discuss the buying process and strategies you can use when it comes to selling your own business. Who it’s for: Anyone who is interested in running an online business but doesn’t want to have to build one from scratch. It could also be useful for website flippers — those who buy websites and then sell them on at a profit. Best episodes: The podcast episodes are split into series that detail a specific aspect of web equity. Series 2 is an excellent resource on how to buy businesses online. 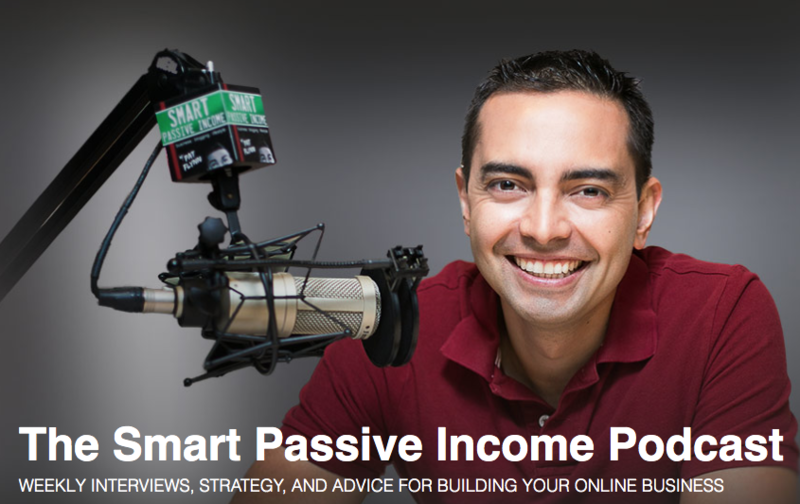 Intro: Smart Passive Income is a website run by Pat Flyn. In the podcast, he shares weekly interviews with experts in the space of building online businesses. Topics aren’t strictly related to passive income. He discusses everything from SEO to Podcasting, to marketing on Kickstarter. As well as the podcast he has a blog, YouTube channel, and various courses related to starting an online business. Why should you listen? Pat is an interesting host and provides information on many different types of online business. He has been podcasting for years so has plenty of useful information to share. Who it’s for: The podcast is a great resource for anyone who wants to run a small business online or for those who already run a small business online but want to make it more efficient. Many of the tips Pat shares can be used by passive income businesses, or online businesses in general. Best episodes: Pat has over 350 podcasts, meaning there is a lot to get through. Episode 355 on how to build a YouTube channel in 2019 contains useful information on a topic likely to be relevant to many small business owners. Intro: Marketing School is a podcast run by Neil Patel and Eric Sui, two heavyweights in the world of online marketing. It is a bite-sized podcast released daily and it currently has almost 1,000 episodes. In it, the two experts discuss everything in relation to marketing and running a business, including online ads, blogging, hiring, sales, and lead generation. Why should you listen? The main reason is to hear what two certified experts in online marketing think about a variety of topics. Both hosts have a proven track record which gives their insights a lot of authority. Who it’s for: Small business owners who want online marketing advice will benefit from the show. Each episode is generally short (under five minutes), which means those who want tips but don’t have an hour to spend listening to a podcast are especially well served. Best episode: It’s hard to suggest a single episode due to the sheer number available. Perhaps the best recommendation is to use the search bar to find episodes on the topic you want to know more about. In the unlikely event, the topic you want to know about isn’t covered, you can suggest a future podcast using the bar on the home page. 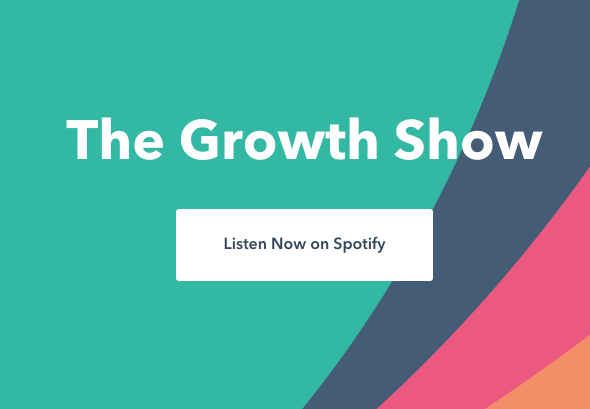 Intro: In The Growth Show, Hubspot vice-president of marketing Meghan Keaney Anderson holds interviews that tell the story of how brands and businesses grow. Each podcast is a different case study of a brand. In the podcast, they talk about the inspiration behind the brand, as well as the tactics the company used to grow the business. Why should you listen? You should listen if you want to hear about how businesses, ideas, or movements grow. The podcast features a wide range of companies, from those that are built entirely online to brick and mortar businesses. The podcast doesn’t discriminate based on size. Small businesses are featured alongside the stories of global brands like Nintendo and Lego. Who it’s for: Small business owners who want to know how other similar business owners have found success. The information can be used by both online and offline businesses. The podcast could be of particular interest if you feel your business is a movement as well as a way to sell a product. Best episodes: In “How Spartan is Growing a 100 Million Warrior Movement,” Joe De Sena explains how he built Spartan Race into a successful business that is changing lives. Setting up a small business can be a challenge. The more help you can get when it comes to establishing and growing your business, the more likely it is you will be successful. Podcasts are a great way to learn about small business growth strategies that have been used or are being used by other successful businesses. As well as the 16 featured on our list, there are plenty of other useful podcasts out there. Did we miss out your favourite? Let us know the ones you like in the comments below.